Today a snooker player shares a few sweets with a fan at The Crucible and the video footage goes viral, as they say. They were Wine Gums mind, who knows what they’ll be on next. Mark Williams - he with the face like a rained-off bricklayer - living it large live on telly. It’s hard not to be drawn to snooker’s mis-spent youths - the World Championships in Sheffield was still sponsored by Embassy cigs up until 2005. 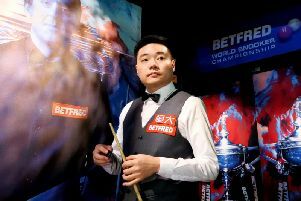 Unthinkable now but all part of snooker’s lingering street-corner charm that has echoes from a world where talent and personality beat all the preparation and psychology in the world. Alf Tupper with a snooker cue - cigs and beer compulsory and a bag of chips on the way home. 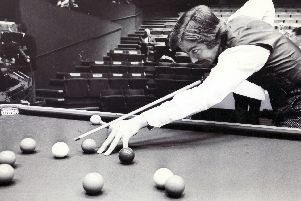 But of course that’s all romance and fly-by-night dreams fed by mercurial characters like Alex Higgins and the unpredictable genius of Ronnie O’Sullivan. The only way to the top is, and always has been, through determination, dedication and application of talent. Practice, practice, practice and cadging the occasional Wine Gum is about as wild as it gets now as every click and calorie are clocked, mapped and measured. And the truth is of course that players and competitors ARE getting better with every generation and advance in preparation. Though, reassuringly, the big old-school beasts are still stirring elsewhere. The biggest and greatest of them all, Sir Alex Ferguson, has a new battle on his hands as tries to overcome the effects of a brain haemorrhage suffered at the weekend. A few churls excepted, the world wants him well again. There is something about that generation - or perhaps it’s elements of every generation at a certain age - where the proven methods are still working because the individuals have the character and talent to make sure they do. Wenger, with his stubbornly-new approach, has gone after 22 years of invention and class, but men like 69-year-old Neil Warnock and Roy Hodgson, in his eighth decade, are still making things happen, shaping, motivating, winning. The big beasts may be coming to the end of their time but they are still setting standards for the rest to follow.